Stop what you’re doing right now and look. Look at the walls in your office if you have one. Scan the top of your desk, your file cabinets, side tables, computer stations, ect. If this person were an attorney, would you trust him with your case? Look with fresh eyes as if it were someone else’s office. What do you see? Controlled chaos? What does it say about you? Neat? Disorganized? Unproductive? 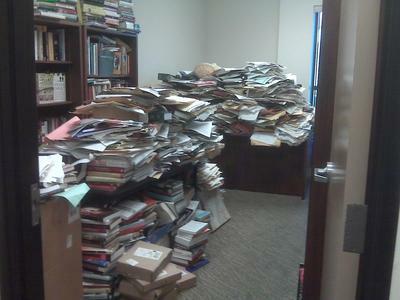 A potential fire hazard in the making? Business professionals should be use to thinking about their appearance by now. Every wise manager knows that, on the job, you dress for the position you want, not the one you have. But how often do those same people think about what message their surroundings are saying to others? Your work environment maybe be your happy place on the job, but the message it sends to others should be consistent with the one you’re trying to send through your appearance, your skills, your conversations, etc. Do they clash? Or do they support each other? 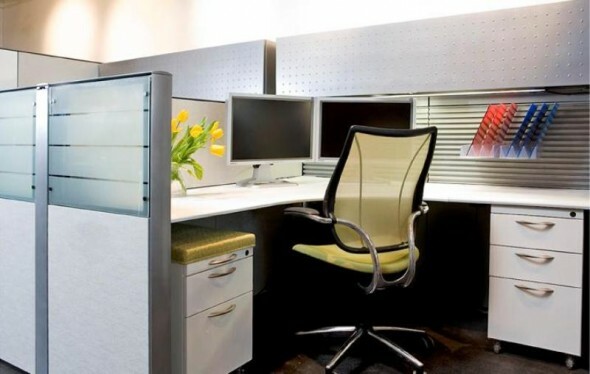 – Does your workspace convey efficiency and organization? Or are your walls lost opportunities to sell yourself instead? 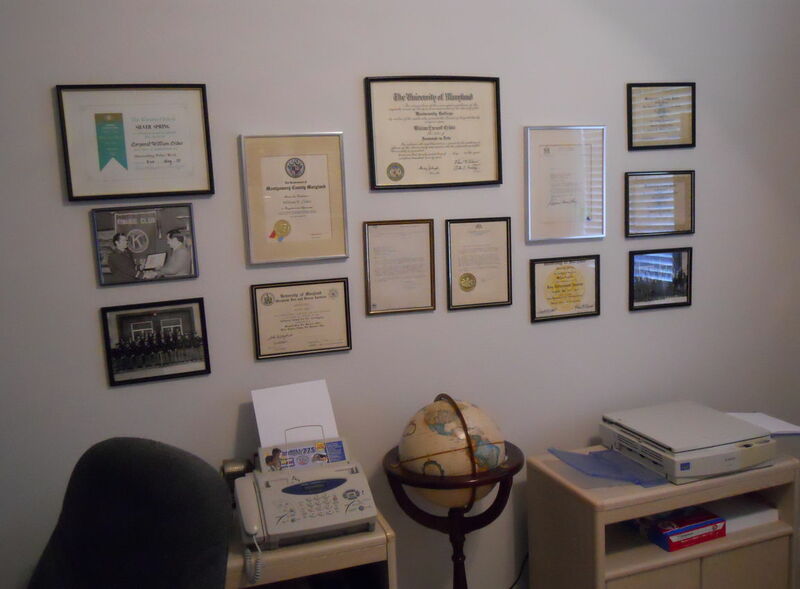 – Is your college degree (should you have one or more) prominently displayed on the walls? If not, get it up there. If you don’t have walls or can’t hang personal items, invest in a small table-top easel and place it on a filing cabinet or side table. – Do you have any awards, merits or other honors that are frame worthy and display friendly? If so, put them out there too, but avoid clutter. The idea is, if you have professional designations to brag about, do so in a tasteful manner. – Is your desktop some place where pieces of paper go to die? If so, now is the time to get organized. Raid the supply cabinet for hanging file folders, develop a system, then use it. – But don’t wipe the slate completely clean! A wide open expanse of clean desk top may be nirvana to neat freaks but to others it may say this person doesn’t have enough to do. The point is, bring order to the chaos, promote your accomplishments and send a message that you’re organized and dependable. If it looks and sounds like you know what you’re doing, people usually will believe you.